There has been so much talk about Cable and Domino lately, that some fans have completely overlooked the fact that Brianna Hildebrand is returning as Negasonic Teenage Warhead in Deadpool 2. 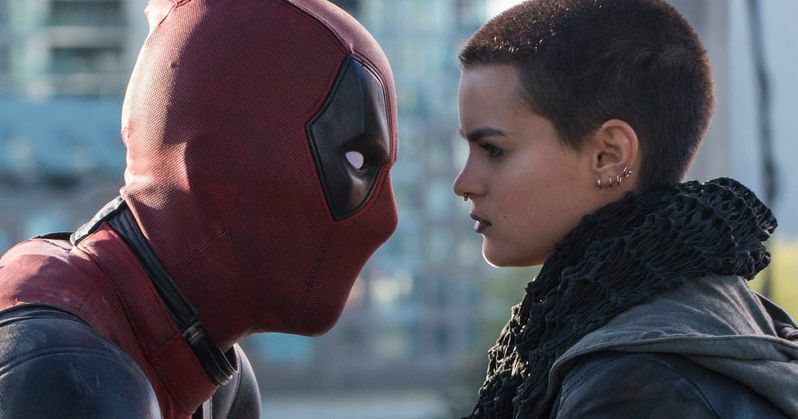 Though the script has yet to be finalized, actress Brianna Hildebrand, who brought this unique mutant to life in the 2016 smash hit Deadpool, is starting to share some thoughts on the sequel. She hasn't read the script yet. But she has seen some early concept art. And she promises that it's pretty cool. Negasonic Teenage Warhead is one of the lesser known X-Men characters. And that's why Deadpool was allowed to use her, alongside the more popular Colossus. The duo made quite the team for Wade Wilson to interact with, and both will be back for this follow-up. While audiences may not have known this Teenger before the movie, she quickly became a fan-favorite and was definitely a scene stealer. ScreenRant caught up with the Texas born actress during this weekend's SXSW event. She was back in Austin to promote her teenage slasher comedy Tragedy Girls. But she did take a moment to talk about the future. And offered these comments on the return of NTW. "I've not yet actually read the script. But I do think she will be a lot cooler, based on the wardrobe ideas and stuff. I'm very excited." While the scrip is still being nailed down, the pre-production team has started laying out some ideas via concept art. And that art has included a new look for Negasonic. Hildebrand has seen some of this art. She explains this about the character's awaited return, and what she knows so far. "Just some ideas, nothing that's concrete or anything. But I think it's cool that she's grown and matured and she still has so much of this essence of a punk kid." There was little else that Brianna could share. She did get to talk about the fans' reaction to her in the first movie. And how Negasonic has really become her character. "That was exciting, just because I felt so close to Negasonic in that she reminded me so much of myself. Like young, teenage/tweenage, angsty like pissed off Brianna is who she reminded me of. It was just like, 'Oh! She's so cute. I get her, you know?' So yeah. That was super exciting to see that people liked her too because it felt like people liked me, or the part of me in there somewhere." While Negasonic Teenage Warhead and Colossus will team with Cable and Domino, there are no other key X-Men joining the fight in this sequel. It has been confirmed that the movie won't feature any cameos from existing X-Men characters seen in the previous movies. Though there has been a rumor, sparked by an Easter egg in the recent Deadpool 2 teaser, that Hope Summers may make her first introduction here. At this time, 20th Century Fox has Deadpool 2 locked in for March 2, 2018. It is expected to start shooting later this summer. Brianna Hildebrand can first be seen in Tragedy Girls, which will arrive a little later this year. The movie actually co-stars X-Men: Apocalypse's Alexandra Shipp. Expect to hear some more big Deadpool 2 news later this month as production begins to really heat up.